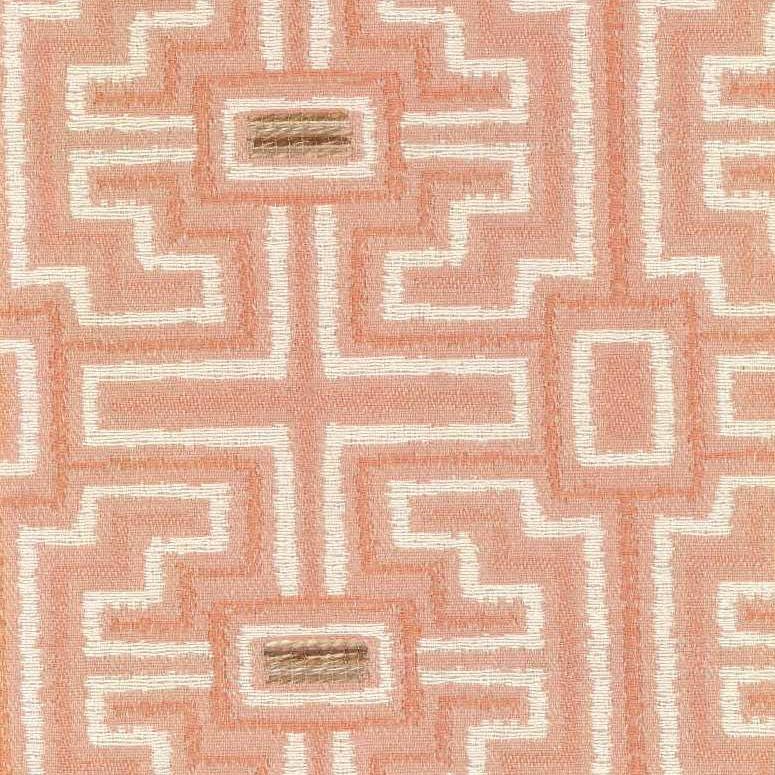 Acropolis I WC Cameo is a woven, yarn dyed, textured maze design that resembles a Greek key pattern. It is shown in Off White, Olive Green, Pale Yellow and Melon against a Dusty Shrimp background. The various weaves create a visual and physical texture that has to be seen to be appreciated. The overall pattern repeat is Vertical 5.5 inches and Horizontal 6.375 inches. Acropolis is suitable for pillows, cushions, bedding, headboards and furniture upholstery.